The Asian Human Rights Commission (AHRC) has received information that a Pakistani businessman will be executed on September 21 on the charges of smuggling drugs into China. The death sentence and order for his execution have been issued. He is allegedly a victim of the sheer negligence of Pakistani embassy staff who misguided the family of the victim and also the non cooperation of the Pakistani diplomatic staff with the lawyers and Chinese authorities. The family of the victim state that he was implicated in the case by a Nigerian man who had links with drug smugglers. Also, the victim’s confession was a result of pressure from the staff of the Pakistan Embassy. 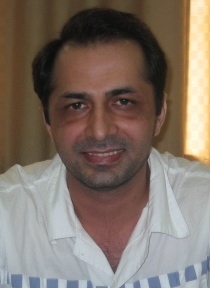 Mr. Zahid Hussain Shah, (passport number CQ 5149432), confined at I.T (identity) 1760, Hunan Road detention cell, Shanghai, Peoples Republic of China, was taken into custody from a hotel on September 4, 2008 on charges of smuggling drugs into China. He was formally arrested on these the charges on October 10, 2008 along with seven other persons including, four Pakistanis and three Filipinos who told the custom authorities that Zahid Hussain Shah has provided drugs them to bring in China. The drugs were confiscated from the seven accused persons in tablet form wrapped in tin foils from their luggage and stomachs. Zahid’s family members say that he was asleep at the hotel at the time of his arrest and argue that a guilty person would not be so relaxed. The Foreign Affairs Office of Shanghai Higher People’s Court notified that on March 19, 2010 the Shanghai First Intermediate People’s Court announced the death sentence and confiscated his personal property. After the verdict, the defendant appealed to the Shanghai Higher People’s Court against his death sentence but this court upheld the decision of the lower court. The Supreme Court also upheld the death sentence and scheduled his execution for September 21, 2011. The family members, including his father and sister cousin, say that the authorities in the Pakistan Embassy in China had misguided them repeatedly and not helped the victim. They say that they had spent more than Rs. 2.5 million in legal fees and it was done with the consultation of Embassy staff. In fact, one staff member, Mr. Mahmood Akhtar Mahmood pursued the family during the trial itself to urge him to confess to the crime so that he would not be hanged. The lawyer was also pressurised the victim to confess. Acting on the advice of the lawyer and under pressure from Mahmood, he did so. Due to his confession all the other seven persons were sentenced to life imprisonment, however, Zahid Hussain Shah was sentenced to death. After the death sentence the Pakistani embassy stopped conveying any information to the family members after telling them that nothing further could be done after the Supreme Court decision. The only suggestion was to pray for him. Zahid Hussain Shah’s family then contacted many officials at the Ministry of Foreign Affairs in Islamabad, Pakistan and were told that they would contact the president and prime minister for the commutation of his death sentence. However, all these assurances proved to be false according to the family members of the victims. The sister cousin of the victim, Ms. Tasneem Fatima, who is a journalist and the only well educated person in the family, has continuously asked for copies of their requests to the president and prime or details of any intervention in the case but these have never been supplied. She also met Mr. Tariq Karim of the China Desk at Foreign Ministry who promised to help her but once again nothing was done. She also met with one, Mr. Mustafa Nawab Khokhar, an officer at the Ministry of Human Rights who promised her that he would discuss the commutation on his death sentenced with President Zardari when he returned from a foreign tour. Please write the letters to the given authorities to commute the death sentence of Zahid Hussain Shah, passport number CQ 5149432. Please urge them that on the humanitarian grounds his death sentence may be converted to a life sentence. I am writing to voice my deep concern regarding the death sentence of Zahid Hussain Shah, passport number CQ 5149432, confined I.T (identity) 1760, Hunan Road detention cell, Shanghai, Peoples Republic of China, who would be executed on September 21, 2011. I have learned that Mr. Zahid Hussain Shah, was taken into custody from a hotel on September 4, 2008 on charges of smuggling drugs into China. He was formally arrested on these the charges on October 10, 2008 along with seven other persons including, four Pakistanis and three Filipinos who told the custom authorities that Zahid Hussain Shah has provided drugs them to bring in China. The drugs were confiscated from the seven accused persons in tablet form wrapped in tin foils from their luggage and stomachs. Zahid’s family members say that he was asleep at the hotel at the time of his arrest and argue that a guilty person would not be so relaxed. According to my information, the Foreign Affairs Office of Shanghai Higher People’s Court notified that on March 19, 2010 the Shanghai First Intermediate People’s Court announced the death sentence and confiscated his personal property. After the verdict, the defendant appealed to the Shanghai Higher People’s Court against his death sentence but this court upheld the decision of the lower court. The Supreme Court also upheld the death sentence and scheduled his execution for September 21, 2011. It is very distressing for me that the family members including his father and cousin sister say that the authorities in the Pakistan Embassy in China had misguided them repeatedly and not helped the victim. They say that they had spent more than Rs. 2.5 million in legal fees and it was done with the consultation of Embassy staff. In fact, one staff member, Mr. Mahmood Akhtar Mahmood pursued the family during the trial itself to urge him to confess to the crime so that he would not be hanged. The lawyer was also pressurised the victim to confess. Acting on the advice of the lawyer and under pressure from Mahmood, he did so. Due to his confession all the other seven persons were sentenced to life imprisonment, however, Zahid Hussain Shah was sentenced to death. I shocked to know that after the death sentence the Pakistani embassy stopped conveying any information to the family members after telling them that nothing further could be done after the Supreme Court decision. The only suggestion was to pray for him. Zahid Hussain Shah’s family then contacted many officials at the Ministry of Foreign Affairs in Islamabad, Pakistan and were told that they would contact the president and prime minister for the commutation of his death sentence. However, all these assurances proved to be false according to the family members of the victims. The sister cousin of the victim, Ms. Tasneem Fatima, who is a journalist and the only well educated person in the family, has continuously asked for copies of their requests to the president and prime or details of any intervention in the case but these have never been supplied. She also met Mr. Tariq Karim of the China Desk at Foreign Ministry who promised to help her but once again nothing was done. She also met with one, Mr. Mustafa Nawab Khokhar, an officer at the Ministry of Human Rights who promised her that he would discuss the commutation on his death sentenced with President Zardari when he returned from a foreign tour. I therefore urge you to commute the death sentence of Zahid Hussain Shah, passport number CQ 5149432, confined I.T (identity) 1760, Hunan Road detention cell, Shanghai, Peoples Republic of China. The death sentence may be converted to any other punishment on humanitarian grounds as all the other accused persons were sentenced to life imprisonment. I hope that you would consider the commutation of his death sentence on humanitarian grounds. I look forward to your prompt response and action in this case.